A few months ago a friend sent me a link to a crochet pattern and said “Can you make this for me?” I said “Of course I can, but you see it’s November and I’m swamped with custom orders for Christmas!” She said “no hurry, do it in January.” And that’s how these awesome crochet owl baskets came to be. The crochet Owl Basket is only the second pattern I’ve ever purchased online, and was a super easy process. I went to the Crochet Ever After Big Cartel shop, added the Owl Basket to my cart, used PayPal to pay $2.99 and it was sent right to my gmail account. I downloaded it and checked out the list of supplies. The first thing I noticed was that the body of the owl is made by holding 4 strands of worsted weight yarn together and using a large P hook is crocheted in half double crochet. Half double crochet happens to be one of my favorite stitches, and for a long time after I first learned to crochet was the only stitch that I used, mostly because I didn’t know any better. In the pattern picture, the owl basket is showed holding bath towels, and I was pretty sure this was the use my friend had in mind for the finished project. I chose cotton yarn for the basket as it is washable, soft, and seems most at home in a bathroom setting. I’ve never held 4 strands of yarn together to crochet so I have nothing to compare it to, but 4 strands of cotton takes some serious muscle work. The multiple strands of beautiful white cotton look amazing in this basket pattern. It would have taken me a long time to figure this particular aspect out, and I’m so glad I bought the pattern instead of trying to go it on my own. 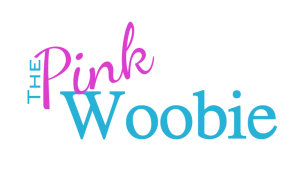 The Owl Basket is written very clear and concise and Deja has some videos and more tips on her website if you need additional help. The eyes and ear flares are perfectly owl like. My weakness is sewing, so perhaps the most difficult part of this whole project was sewing the triangle the formed the owl beak. I eventually came up with something I was satisfied with however, and giggled at my work once it was complete. This pattern is TOO CUTE! For the smaller version I just reduced the number of increases on the bottom, and although it didn’t come out perhaps as rotund as the original, I think it came out pretty well. I slightly adjusted the size of the eyes as well, but not by much. Perhaps the trickiest part of this whole endeavor was finding a large enough space in my tiny apartment to take blog appropriate pictures. I was worried the whole time I was working on the pattern that these baskets would not stand as they were suppose to once they were finished. But they both perched on my kitchen table just fine for most of the night. They have now been packed and shipped and on their way to a new home. I have a feeling this won’t be the last time I use this particular pattern. What about you? Is this something you’d consider purchasing to add to your crochet repertoire? 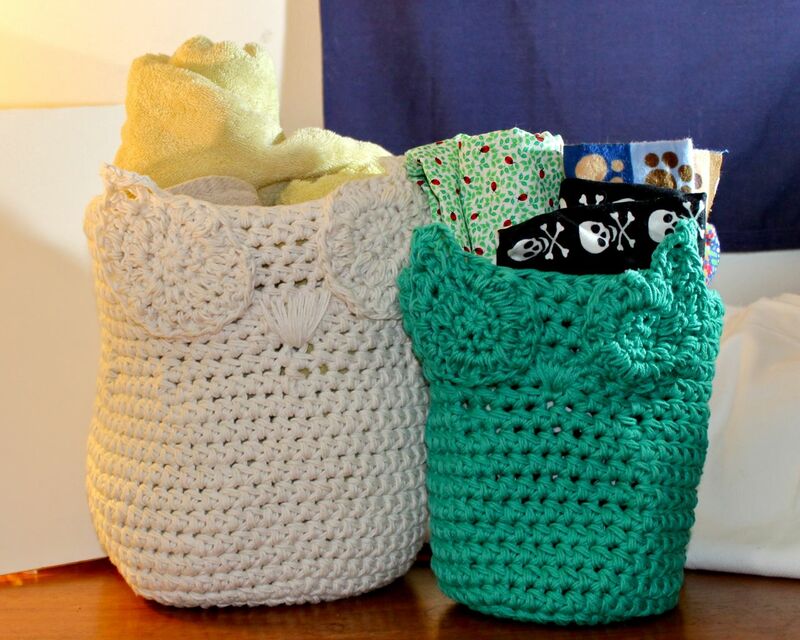 What would you put in your crochet Owl Basket?